Regardless of where you fall on AR-15 ownership — whether you are seeking your first AR-15 or your third — the six rifles on this list are worth considering. They range from entry-level to refined, yet each offers something that sets it apart from the others on the list, even if that distinguishing characteristic is cost. Smith & Wesson M&P Sport — The Smith & Wesson M&P Sport is a basic, no-frills AR-15 rifle. It comes with a Magpul rear sight, a 30-round magazine, an adjustable buttstock, and a flash hider. The gun is simple, dependable, and accurate. And it is one of the least expensive AR-15s on the market. The M&P Sport shoots 5.56 mm/.223 Remington. The approximate price for an M&P Sport (or M&P Sport II) is $670 to &700. 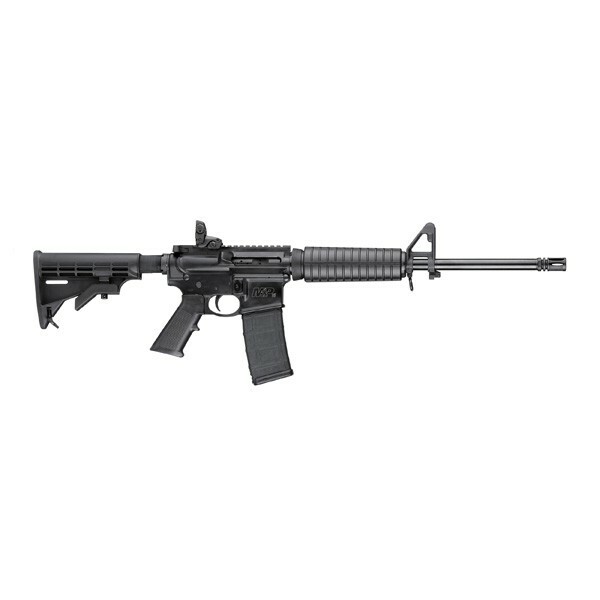 Bushmaster M4A2 — The Bushmaster M4A2 is basic, like the M&P Sport, but differs in that it has a carry handle and fixed rear sight. In other words, the gun looks like it stepped out of any Vietnam-era war movie you can remember. As with the M&P Sport, the basic, no-frills approach on the M4A2 means lower cost but it still delivers true AR-15 performance. The M4A2 shoots 5.56 mm/.223 Remington. The approximate price for an M4A2 is $780 to $800. Bushmaster XM15-E2S — The Bushmaster XM15-E2S is a classic AR-15 in every sense. It has a fixed buttstock, a fixed rear sight — contained in a carry handle — and is somewhat bulky (when contrasted with the M&P Sport or the Bushmaster M4A2 and similar rifles). But the XM15-E2S has a few things going for it: 1. It is a Bushmaster. 2. It embodies the essence of the AR-15 rifle. 3. It is accurate. Take an XM15-E2S and put in a Magpul 3o-round or a Daniel Defense 32-round magazine and it’s time to shoot and enjoy. The XM15-E2S is no longer in the Bushmaster catalog so it must be acquired used. The approximate price for a used XM15-E2S is $780 to $840. 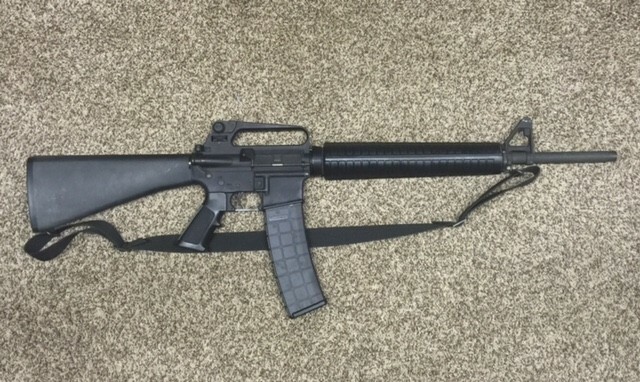 Colt LE6920 — The Colt LE6920 is a civilian version of the Colt M4, the gun which countless military personnel relied on for safety during times of war and conflict. The LE6920 comes with a Magpul rear sight and various other Magpul Original Equipment (MOE) parts, including MOE SL handguards, MOE SL carbine stock, and MOE SL pistol grip. The buttstock is position adjustable, like the stocks on the M&P15 Sport and the M4A2. 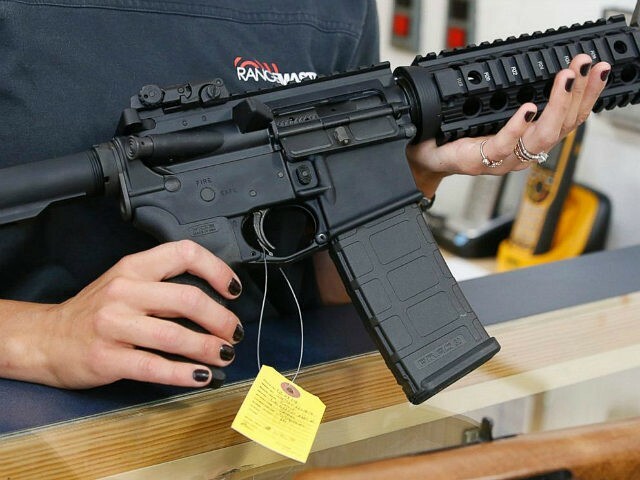 The Colt is the only choice for many AR-15 fans who want a gun made by the company that manufactured the weapon their fathers and grandfathers used in combat or police service. The approximate price for an LE6920 is $970 to $1,100. The DDM4 V1 has an adjustable buttstock, vertical foregrip, and other pieces of furniture that are designed by Daniel Defense rather than outside or aftermarket manufacturers. The DDM4 is designed for precision, and you can feel it as soon as you pick the gun up and put it against your shoulder. The approximate price for a DDM4 V1 is $1,800. Ruger SR-556 Takedown — The Ruger SR-556 Takedown is an AR-15 that can be taken down or broken down into three main parts: the buttstock with lower, the upper receiver, and the barrel — which is advertised as a “takedown barrel.” After dissembling the gun in this way, you can place the three main pieces in a carry bag which Ruger provides with every SR-556 rifle. The idea behind it is a smaller, more convenient package to carry on hikes into the woods or on camping trips. The SR-556 comes with 30-round magazines from Magpul. The dependability of the SR-556 goes without saying. After all, it is a Ruger. The approximate price for the SR-556 is $2,000 to $2,100. As with all guns and gun purchases, it is incumbent on the purchaser to know the laws of his or her state and to familiarize themselves with the weapon they choose to purchase. An AR-15 is a workhorse and, with training, can be one of the best weapons imaginable for home, property, and self-defense.